He’s such a menace that it’s tempting to cheer any vituperative critic and grab any handy truncheon. But villainizing Trump should not entail sanitizing other malefactors. So it’s a good moment for Adam McKay, the inventive director of “The Big Short,” to enter the debate with a movie that raises the question: Is insidious destruction of our democracy by a bureaucratic samurai with the soothing voice of a boys’ school headmaster even more dangerous than a self-destructive buffoon ripping up our values in plain sight? McKay grappled with the W.-Cheney debacle in 2009, when he co-wrote a black comedy with Will Ferrell called “You’re Welcome America. A Final Night With George W Bush.” In the Broadway hit, Ferrell’s W. dismissed waterboarding as a Bliss spa treatment and confided that he had once discovered Cheney locked in an embrace with a giant goat devil in a room full of pentagrams. When McKay was home with the flu three years ago, he grabbed a book and began reading up on Cheney. 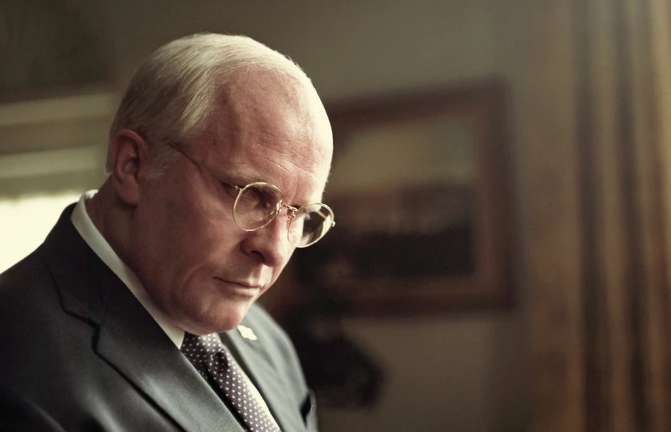 He ended up writing and directing “Vice,” a film that uses real-life imagery, witty cinematic asides and cultural touchstones to explore the irreparable damage Cheney did to the planet, and how his blunders and plunders led to many of our current crises. With an echo of his Batman growl, Christian Bale brilliantly shape-shifts into another American psycho, the lumbering, scheming vice president who easily manipulates the naïve and insecure W., deliciously played by Sam Rockwell. While W. strives to impress his father, Cheney strives to impress his wife, Lynne, commandingly portrayed by Amy Adams. After a screening of “Vice” Thursday, I asked McKay which of our two right-wing Dementors was worse, Cheney or Trump. “Here’s the question,” he said.